This Reserve National Health Insurance Company Review will discuss the company that was started in 1956 and is headquartered in Oklahoma City, Oklahoma. 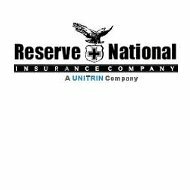 Reserve National Insurance Company has been offering a number of specialty health and life products to the residents of Oklahoma and other areas of the country for years and is a member of the Oklahoma Better Business Bureau. To compare health insurance rates for this company or those in your local area just enter your zip code in the free quote box. If you were to be in an accident, would you be covered for medical and non-medical expenses? There are a number of policies offered by Reserve National that would provide benefits if you were to be in an accident that led to injury or death. The accident policies pay a certain sum of money to help cover a variety of expenses from leftover hospital bills to daily expenses. The amount of money you receive depends on which coverage you choose, but it could be a couple hundred dollars to amounts over $50,000. Reserve National offers a policy that covers medical, surgical, and hospital expenses. This policy can be tailored for any need or budget. It is a policy that can also cover preventative care procedures and tests such as prostate exams, pap tests, and mammograms. Some states also offer coverage for just kids under certain circumstances. If you are a business owner or primary breadwinner of your family, there could be devastating consequences financially if you were ever confined in a hospital. The hospital indemnity policy from Reserve National can help you out if you have to stay in the hospital and cannot work and earn money to pay your bills. This policy pays money even if you have other coverage. For each day that you are confined to the hospital for whatever reason, your policy will pay an amount, up to $2,000, to help cover income that you are losing. This money can be used for any expense that you choose. Another supplemental policy from Reserve National is their vision and dental expense policy. For just one low premium, you get coverage for both vision and dental. The vision coverage can help cover lenses, frames, contact lenses, and eye exams. Dental coverage can be used for routine care such as cleanings as well as procedures that are more comprehensive. Medicare supplement insurance helps those who already have Medicare pay for things that Medicare does not. It is a gap filler, so to speak, and there are different plans from which you can choose. It pays anywhere up to $25,000 and is good for the first diagnosis only. The philosophy of Reserve National is to assemble and sustain the greatest independent sales team in the industry. If you have a sales background and would like to join the insurance industry, Reserve National may be the place for you. Even if you do not have sales experience, you will receive training not only in the office but also in the field. To satisfy successful agents, Reserve National offers a sales success program. This program includes a rewarding commission schedule that keeps most agents earning an income that is above average. Reserve National has a great lead program to keep a steady supply of leads coming to their agents. Reserve National has a rating of A- by A.M. Best and offers a variety of products for agents to offer. The company continually strives to produce new policies to meet the needs of customers. Because of these reasons and because the company offers continual leadership and opportunities for advancement, it seems like a good company to work for. To look at online health insurance just fill in your zip code in the space below.